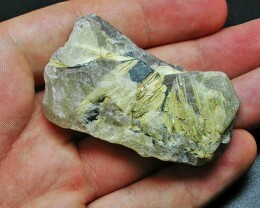 This is a natural stunning rough specimen displaying gold needles.This is a interesting stone in that the needles radiate from one spot so its called a star burst which is usually from a mica centre-great collectors stone.You have to process kilos of this material just to find the star. 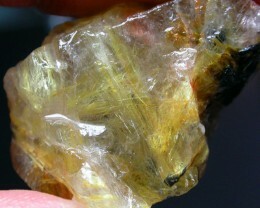 Quartz is the most common mineral on Earth. 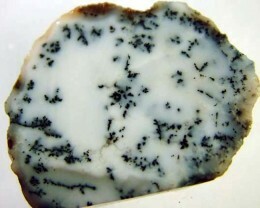 It is found in nearly every geological environment and is a component of almost every rock type. 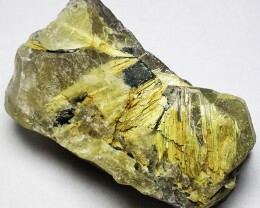 It makes up about 12% of the earth's crust, occurring in a wide variety of igneous, metamorphic and sedimentary rocks. 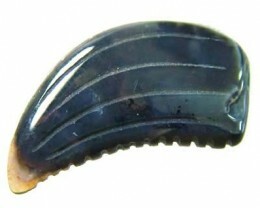 It is also the most varied in terms of variety and color. 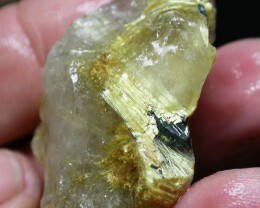 Quartz is a 7 on the Mohs scale of hardness. 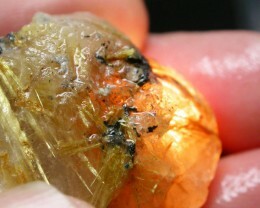 Rutilated quartz is found in Australia, Brazil, Kazakhstan, Madagascar, Norway, Pakistan and the United States. 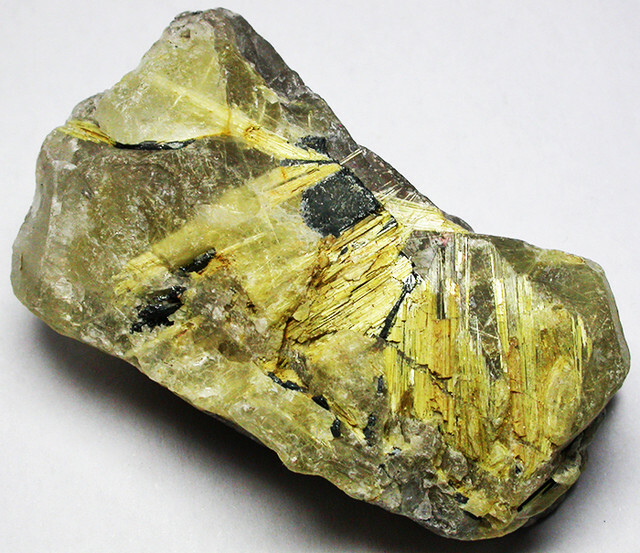 Rutile is a major ore of titanium, which is a metal used for high tech alloys. 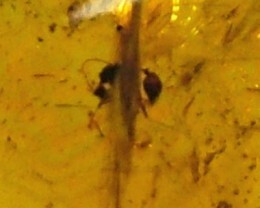 It often forms needle-like crystal inclusions inside quartz. 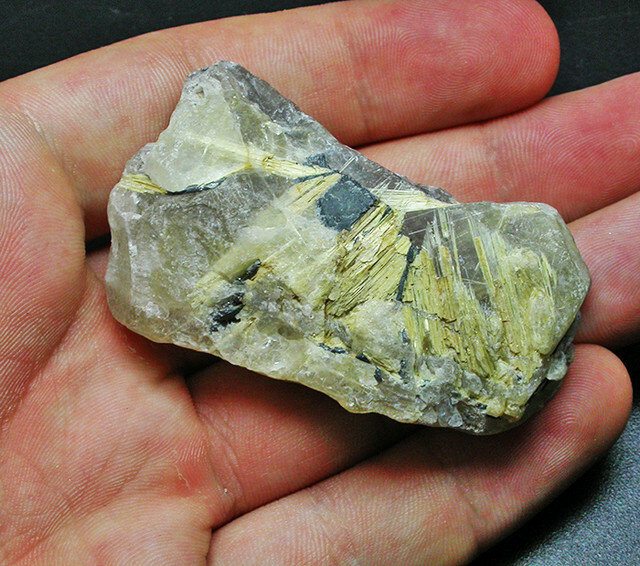 This form of quartz is known as rutilated quartz and it looks like small bars of imbedded needles. 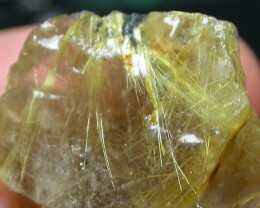 Rutile is a 6 on the Mohs scale. 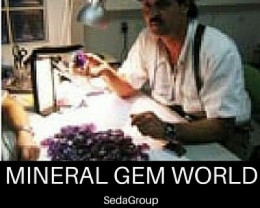 Because of the difference in hardness between the two materials and because of the way rutile forms inside, this can be a difficult stone to attain a smooth surface without pits.